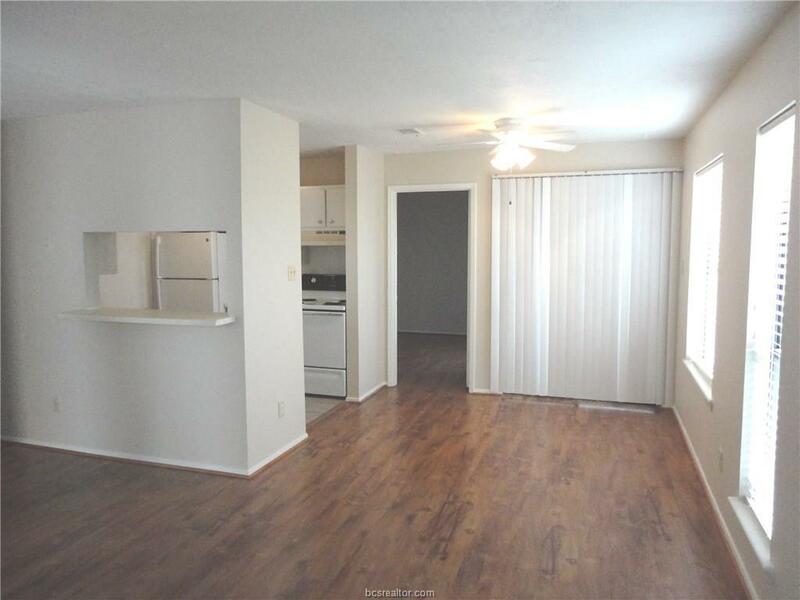 This nicely maintained upstairs 2 bedroom and 2 bath condo is close to Texas A&M and the new Walmart shopping area. 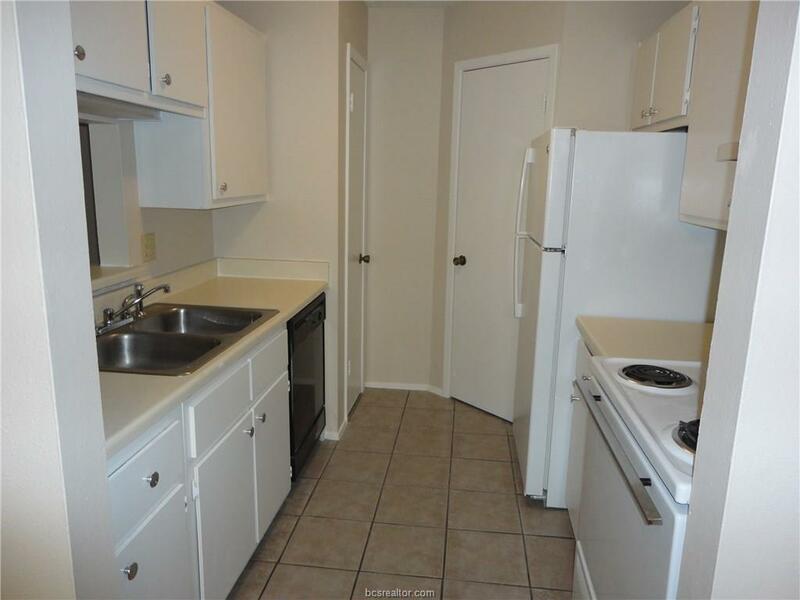 This unit was refurbished last year and has an updated range, refrigerator, and a dishwasher. 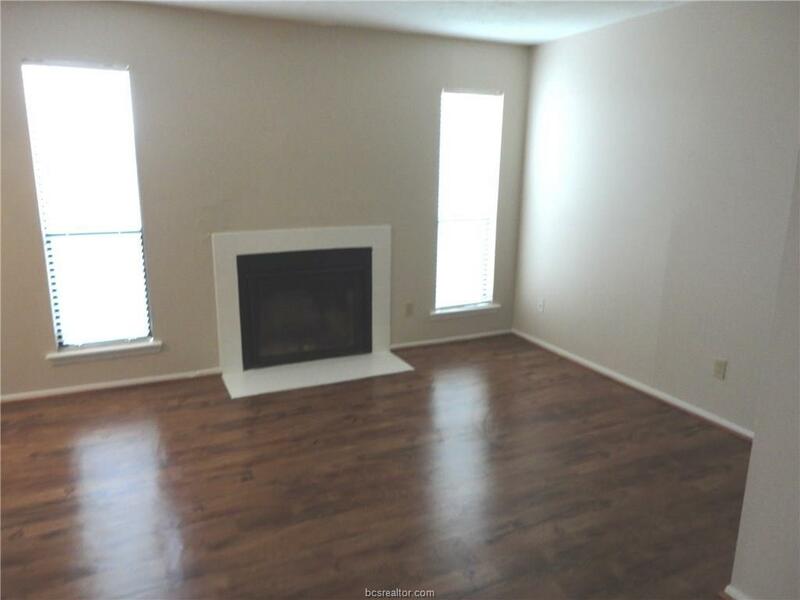 Nice living with fireplace and an adjacent eating area. Recently painted and has newer lighting fixtures. AC unit including air handler was replaced last year. Landlord pays for water and trash. Currently leased through April 30, 2020 at $710/month.